When you purchase an Audi, whether it is new or pre-owned, you know you own a luxurious vehicle. From the inside out, the Audi design is stunning, and when paired with their smooth ride, the quality of the vehicle is unparallel to any other vehicle. In order to keep an Audi in pristine condition, routine services must be performed by educated and skilled professionals who understand the Audi’s make-up. The staff at Dave’s Ultimate Automotive is continually trained to service Audis whether at our Central Austin, Cedar Park, or Pflugerville locations. We stay current with the technologies and parts associated with each make and model of the car, so that we can perform any repair when you need it. We understand how valuable your time is. That is why we perform various diagnostic and repair services correctly the first time. We care about your Audi as much as you do and will use the latest technology and the most skilled technicians to repair and maintain your Audi. When your car needs a routine service or a repair, you can set up an appointment online, or give us a call. 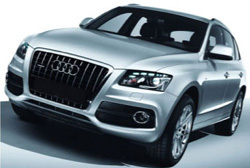 Did we mention that all of our Audi repair services are guaranteed by a nationwide 24 month/24,000 mile warranty? When you bring your vehicle to Dave’s Ultimate Automotive you can be confident that it is truly in the best hands. We also are happy to provide free vehicle safety checks on your car’s air conditioning, brake system, alignment and check engine light, further helping you and your family stay safe on the road!